Top English national newspaper, The Guardian, has just published - on-line, its shortlist for its prestigious international development journalism prize. We are delighted that Sohm Schools Support friend and relative, Sarah Shearman, has joined that illustrious list of 12 journalists, from an original entry of around 500 articles. The shortlisted journalists will have their articles published in a future supplement of the paper and be invited to do some blogging and writing for the paper, on international development issues, in the future. The prize winners will be announced later in the summer. But we'd like to congratulate Sarah now for her great distinction in making this highly-regarded short-list. Sarah may end up as a prize-winner. We believe that the people of The Gambia, and of Sohm in particular, are real winners for having their plight highlighted in such a professional way. Sarah's article and that of the 11 other shortlisted applicants can be found from the Guardian's website, here. We'll keep you upto speed with further developments in this great story, as they emerge. Sohm schools are becoming the focus of international media attention at present, in both print and via video. 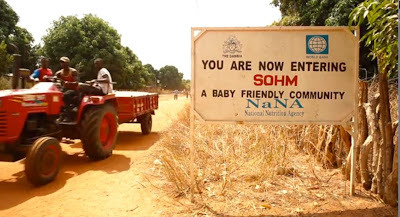 Our great friend Ian Wiggins has put together two short videos for us on the charity's work in Sohm. 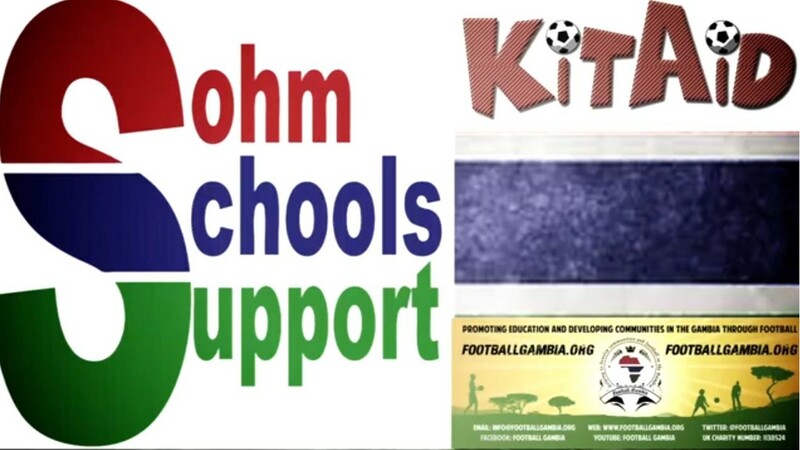 The first is a six minute package, Report from Sohm featuring the village, its two schools, our aims and objectives and how we are meeting them. It's a pacy, professionally produced, well shot film, that gives a great flavour of local life and the kids we are trying to support. The second, Perfect Day is a film on one very special day in January, when our good colleagues from Football Gambia came to Sohm and regally entertained and sports-trained the village's youngsters. Credits: We are eternally grateful to Ian for working long, hard and for almost nothing to produce these two great products. You can find out more about him and his work via:EarWig Media. You can follow him on Twitter: @earwiggy. And, the international link? Ian is a Brit who took up film making some years ago, and travels the world shooting low (and no) budget movies for a host of good causes. He is currently based in Cambodia and has worked with Football Gambia, over the years. No doubt based on his great videos for them, he has recently been commissioned by the Gambia Tourist Board to produce half a dozen promotional films. Watch this space, for further details! We'd also like to thank Dennis(Commissioner)Roberts for the use of his studio and facilities in helping to create the voiceovers. Responsibility for the atonality of the voice, however, is ours alone! You can get a much better feel for the quality of the studio's capabilities, by tuning in to his weekly internet radio show: Cruising with the Commissioner, where Dennis will entertain you imaginatively with the very best of rock, soul and real rhythm and blues music. New York journalist, Sarah Shearman, has been selected for the long list of the prestigious Guardian International Development Journalism competition, for an article focusing on the Digital Divide, in Gambia. And, specifically, how pupils in the Sohm schools are in desperate need for lap top computers to prevent them falling further behind, educationally and economically in the electronic age. The competition attracted over 500 applicants and Sarah made it to the long list of 40 recently. The final short list will be published on 24 June. You can follow her progress on Twitter, either personally via @Shearmans, or via the Guardian's customised link @journalism_comp. The Shearman household has been very helpful to Sohm Schools Support, with her husband sponsoring one of our students and generously paying for over 100 of Sohm's youngsters to have the school trip of their short life times, before in the near future. They will visit Gambia's capital, Banjul, its zoo, airport and archeological ruins in the near future. We hope that these fine efforts by our friends, family and colleagues inspire you to add your weight to help Sohm Schools Support's activities.